When Allie with Origami Owl emailed me about their beautiful jewelry, I knew I had to pass it along to my fabulous readers. I am really sentimental and love jewelry and accessories that mean something, and that is exactly what Origami Owl represents. Origami Owl is a fun and fashionable jewelry line with a unique twist. 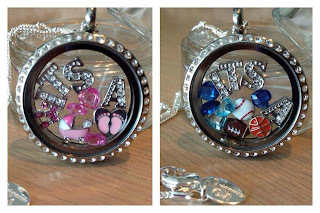 Designers create one-of-a-kind personalized lockets choosing from over 500 charms, a variety of lockets and chains in different sizes and styles, and add-ons like dangles and engraved plates. 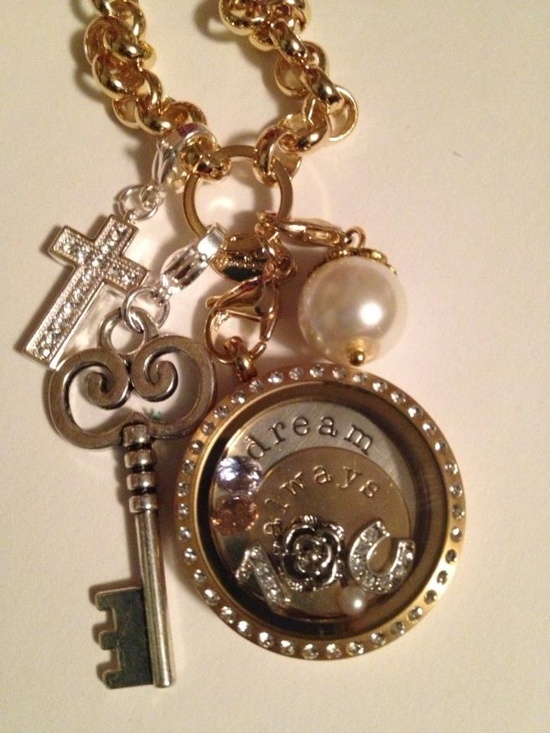 Each locket is designed to tell a story. This is one of my favorite designs. I love how classy and elegant it feels while still being personal and symbolic. Gorgeous! Allie is offering a 10% discount for all Anchors Aweigh readers, and you can visit www.allieross.origamiowl.com/shop and email your order to an.ross30@gmail.com to claim your discount. If you would like a catalog, you can send an email to Allie. The 10% discount is good until August 31st! But guess what else? Some of you may remember my post about Faith, the beautiful little girl Parker and I are sponsoring through Compassion International. Allie has graciously agreed to donate 10% of the proceeds directly to Faith. I love that!! I'll leave you with these lockets. This picture made me wish Parker and I were expecting. What a neat gift to give to our mothers to tell them all about their new grandbaby! Don't forget Christmas is right around the corner! Happy shopping friends!! Those are so cute!! Right now I'm on a $pending Freeze (booo) but one of these bad boys are totally going on my wishlist!! These are so pretty and meaningful! Love them! I just won one of these necklaces!! Excited to make my selection! I’m still mastering coming from people, yet I’m seeking to gain my personal targets. We certainly adore examining precisely what is usually put up on the website and it helped me likewise. keep it up.